The Supreme Court today asked real estate company DLF Ltd to hand over possession of apartments in its project DLF The Valley in Panchkula near Chandigarh by November 30. 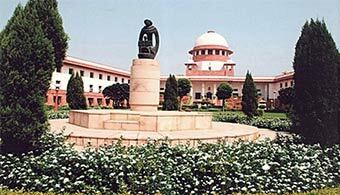 The apex court, however, cut the penalty for the developer to 9% from 12% sought by complainants. The Financial Express reported that the court has directed the developer to hand over apartments to 50 buyers who had approached the National Consumer Disputes Redressal Commission (NCDRC). The commission had asked the developer to pay 12% interest for the delay starting from 2014. The developer then challenged the consumer panel's order in the Supreme Court, which today reduced the interest to 9%. “Around 50 flat buyers are still awaiting the possession of the flats, which were to be handed to owners by 2013,” said a report said. Meanwhile, the court today also pulled up Parsvnath in connection with its project Parsvnath Exotica. Around 70 home buyers had approached NCDRC for refund due to delays in the project in May this year. The case then reached the apex court which today asked the developer to provide a refund schedule for flat owners, according to the report. The real estate industry is facing problems at different fronts, chief among them is massive delays in project delivery. Home buyers and investors are increasingly dragging developers to courts on charges of fraud, cheating and delays in possession of homes. The real estate sector has seen a slew of cases wherein developers such as DLF, Supertech, Unitech, Mantri Realty among others have faced the wrath of buyers. Mumbai-based Mantri Realty hit headlines recently when a bunch of investors and lenders approached the Bombay High Court in a cheating and fraud case. North-based Supertech was recently pulled up by Noida Authority for changing sanctioned construction plan. Home buyers have also started to use newer ways to protest to get their voices heard. Recently, the captain of Indian cricket team MS Dhoni had to resign as the brand ambassador of North-based Amrapali after buyers started tagging him in an online protest against the realtor. These cases have erupted at a time when the sector is facing slowdown in sales, forcing developers into a situation of cash crunch. Developers are overleveraged and are largely relying on multiple rounds of debt financing to sail through tough times. With a view to curb malpractices in the sector, the central government recently paved the way for setting up real estate regulatory body that aims to regulate, streamline and bring transparency in the sector. The new law makes it compulsory for developers to register their projects - with all the construction details - with the regulator before launching it for buyers. It also imposes several other measures like escrow account and transaction on the basis of carpet area to bring end to woes of buyers. Pankaj Kapoor, managing director, Liases Foras, said that had these problems not been there, RERA would not come into place. “While I understand that builders have delayed projects deliberately in many cases and abused market condition, buyers and investors who picked up projects without due diligence are equally responsible,” he said. He added that such cases are coming to the fore now because the market is in a slowdown and appreciation has been more or less stagnant over the last many years. "Exits are difficult to come by in a market like this; so investors find themselves in a trap," he added.